Image: Ron Sachs/Pool/EPA-EFE/Shutterstock, Brian Ach/Invision/AP/Shutterstock. If you love Fixer Upper, you may have something in common with a legendary celebrity. On Tuesday, Chip Gaines and Cher shared a sweet interaction on Twitter that gave us a hint into her surprising fandom for Gaines and wife Joanna’s growing empire. “Once in a while I like to check in, & see what’s happening With Chip, Joanna & Kids,” Cher tweeted, including a heart-face emoji and the Fixer Upper hashtag. We’re not sure what we love most about this exchange: the fact that Cher is a Fixer Upper fan or the fact that Gaines referred to her as “Auntie Cher” in his reply. It’s also nice to get even the smallest look into the lives of him, Joanna and their five children, especially as their business pursuits continue to grow. Although Fixer Upper is in syndication and won’t run any new episodes, the Gaines family could be returning to TV with their very own network in the future. 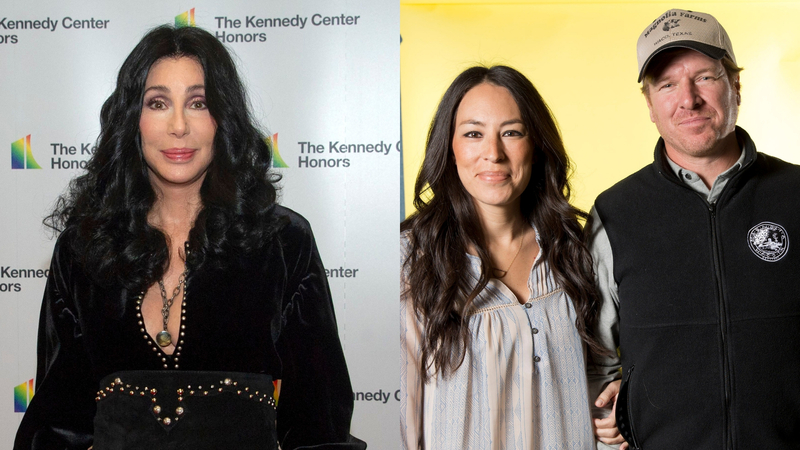 Since Cher seems to be at least somewhat invested in what the Gaines family is up to, we imagine she’ll be into the idea of them having their very own network. Maybe she could even do a guest spot or two on whatever TV show the home improvement power couple plans to do next. Wouldn’t that be something?